Thanks for visiting and your kind words on my photo! Wind blowing in the flags, many boats to discover , and a perfect weather for some sailing! What a fine day it was! The bright colors of the ship and the flag add up to the brightness of the day. Nice capture! This is a beauty, the white always looks super fab with red and blue trim, is this dressed for a celebration or is it always so jolly? I guess in comparison to some European and USA cities Perth probably doesn't get that cold, tomorrow it's going to be 9C to 19C in the day, but it's all relative, that feels pretty brrrrrrr! to us. Quite inviting for a short trip! 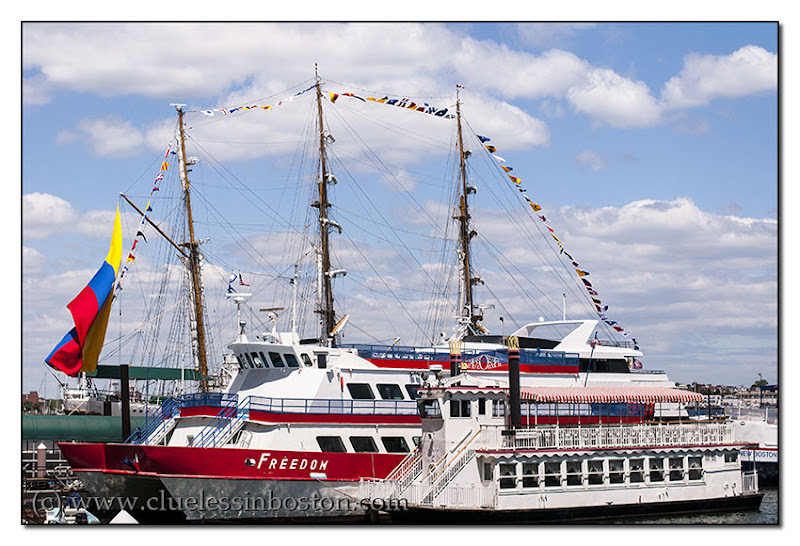 Have never taken a cruise in Boston Harbor... there are lots of dinner cruises. I need to do that.